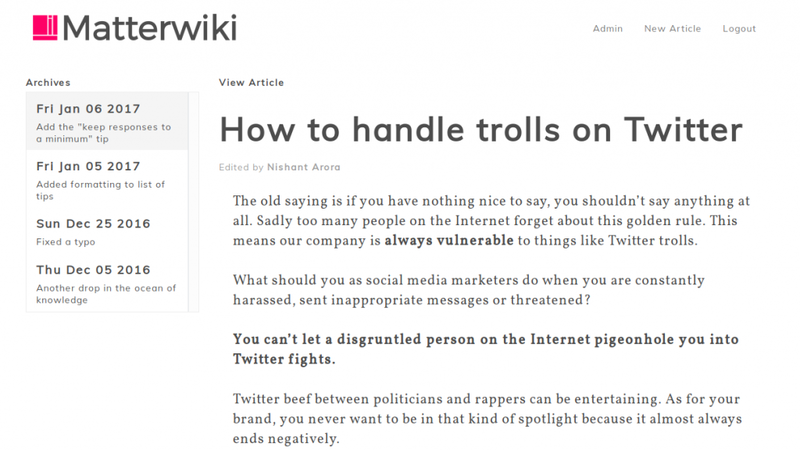 You think Wikis are dead? Sure, the hype is over. About ten years ago, Wikis were the best thing since sliced bread. After all, the idea is still tempting. Take any organization, let’s say the ad agency SmithMeyer Inc. In this agency, a lot of knowledge is circulating the heads of the employees. A lot of said knowledge is needed for the daily work, and some of it is simply nice to have. Now, if there were a central place, outside of the individual heads, that accumulated all the knowledge, this would undoubtedly be precious. Especially considering the fluctuation in the ad branch, a central knowledge deposit is worth considering. This way, Smith doesn’t have to tutor the third new member this quarter but can save a lot by directing him to the well-taken care of Wiki. The new member would also feel a bit more autonomous and would be able to shine much faster. As you can see, Wikis are still a very good idea even today. However, if you as an author have already dealt with the Wikipedia, the world’s largest Wiki system, you’ll know that the attractivity of this type of system is about the same as that of strong tooth pain. Nishant Arora from the Indian Bangalore thought the same. 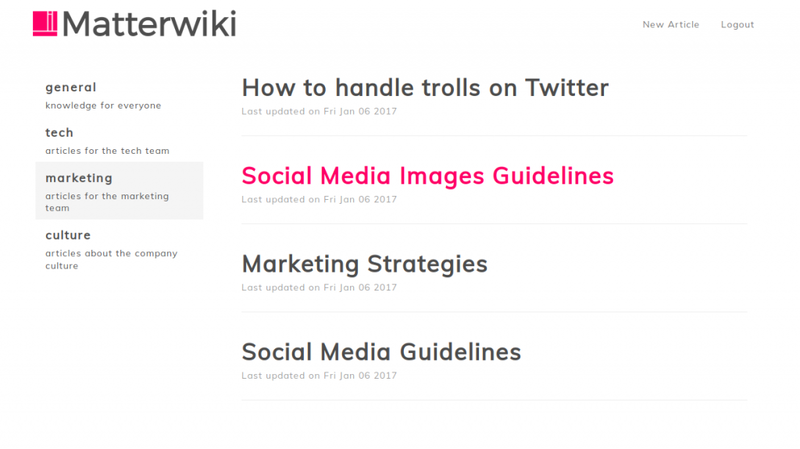 Started as a school project, Nishant has been developing Matterwiki, a slim version of a Wiki software for teams, intensively since summer 2016. Matterwiki probably provides the prettiest Wiki that I’ve seen up to this point. 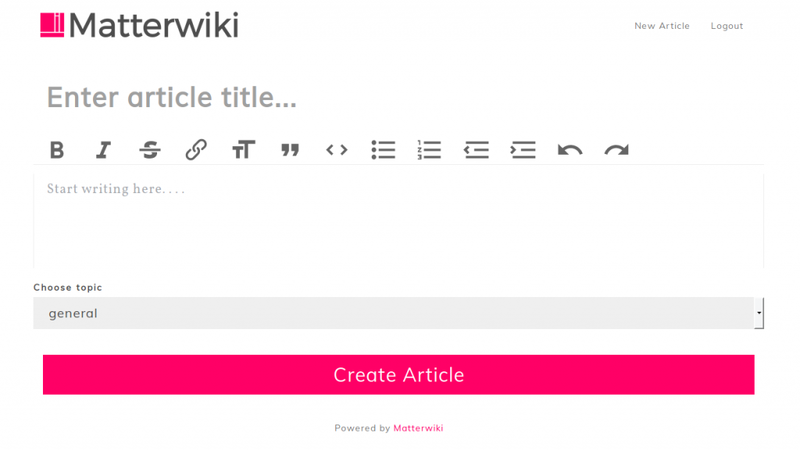 Matterwiki simplifies the Wiki concept a lot. While you can set up any desired number of contributors, the entire order, and sorting works via “topics.” Each Wiki entry is assigned to a topic; there are no other criteria. To write the entries, a visual editor is provided instead of a markdown editor, which is common in other Wikis. I have been writing in Markdown for almost ten years now, but I know how uncommon this markup language is. Outside of the tech bubble, nobody uses it. As a Wiki is not primary made for techies, using a standard WYSIWYG editor surely lowers the inhibition threshold, as well as reservations against the system. Matterwiki stores a prominent, and fully transparent version history, so it can always be tracked who made which changes, where they were made, as well as when they were made. At the moment, Matterwiki does not have a search function. But Nishant is already working on it and has announced the introduction of the quest for the next version, which is supposed to be released in the course of February 2017. 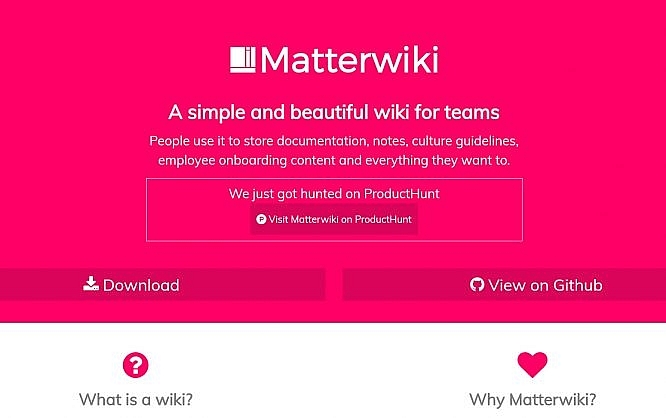 I found out about Matterwiki due to it being featured on Producthunt.